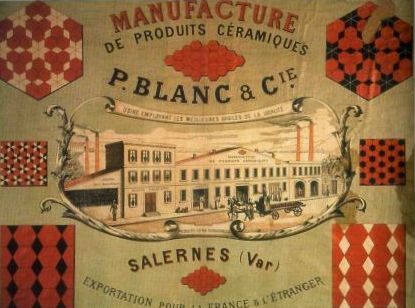 Since 1884, the PIERRE BOUTAL family has perpetuated the tradition of being the leaders in ceramics. In 1965 Pierre Boutal reads about the construction project of Port Grimaud in the 'Express' (news magazine). Active and ambitious men like himself: architects and developers would like to build a port with houses on the water, with windows opening onto the sea and reeds and swamps all around. 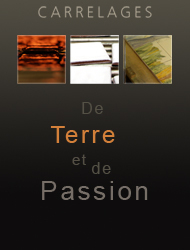 Pierre Boutal is passionate about the project and attends every meeting on Wednesdays about the building project. When the issue for making plans for tiles for the floors and walls was discussed, Pierre Boutal was ranked at the top of the list. His passion and determination convinced the architect, Francois Spoerry, and he fell in love with the handcrafted tiles. All the houses in this seaside city were decorated with floor-tiles and 10x10cm earthenware tiles on the walls. Port Grimaud is a real showcase: all the beautiful villas on the Côte d’Azur (French Riviera) and well known villas abroad want to use these tiles to decorate. Terracotta from Salernes is used to decorate mansions in California and in many other countries. The beauty and the reputation of these tiles are confirmed. This young company director, Pierre Boutal does not merely protect and develop his company, he knows that in this industry, and to make the « Tiles from Salernes « famous, it is necessary in the interest of the different manufacturers in Salernes to work together. To do this, he rallies eight other manufacturers/creators of Salernes and forms a “group with the same economic interests”. This group of manufacturers invest in a clay factory with sophisticated equipment to prepare the clay for each of them. In order to supply the customers with a large variety of materials, he had the idea to combine enamel with the fabulous natural lava stone tops from Volvic, France. The purpose of this is to give the customers a longlasting product glazed in the same way as the tiles. This new decorative material is available to the customers in the same colour range as the wall tiles. On 30th March 1996, Mr. Pierre Boutal is rewarded with a medal (l’Ordre National du Mérite) for his wonderful success by Mr. Jacques Mazel who is a former prefect, a state counselor and also a childhood friend. The sub-prefect, mayors of Salernes and Draguignan and representatives of the economic life in the Var including the president of the chamber of commerce and industry, were all present at the ceremony.